The Gotta is our plaid gone mad. Cotton, yarn-dyed, multi-plaid long-sleeve button-up flannel shirt. Note the concealed buttons, plus placket cover. Couch. 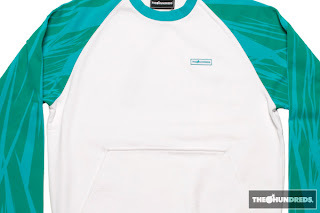 360 gm cotton fleece crewneck sweatshirt, with a kangaroo pocket, water-based JAGS all-over-printed sleeves with a raglan cut. 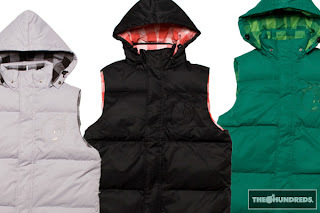 The Tracy is a high-density, polyester, quilted down vest with a detachable hood. Lined with our own yarn-dyed tonal buffalo plaid and a subtle Adam Outline embroidery on the crest. Richies chinos. 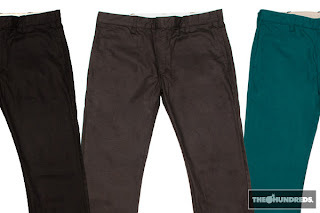 More specifically, cotton calvary twill pants. Another chapter from the Angeleno workwear handbook, but modernized with a slim-fit. 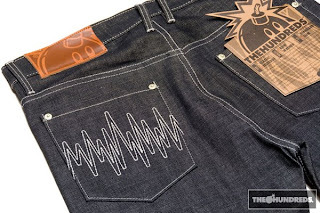 The Cienega denim. Washed, standard fit, and a lighter 12.5oz cotton indigo ring denim as we start heading into the warmer months. 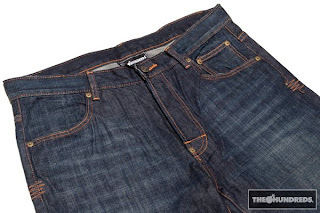 The Monica raw denim is selvedge, our slim-fit, and a 12 oz. ring cross-fire jean. Take note of the white contrast single-stitch that lines the pockets.. on a bonus tip, these ones break in and wear really nicely because of the grain. So I was pretty close on Monday with the pants...looks good Ben and Bobby.